Carmelo Anthony is about to become a Houston Rocket. At 34 years of age, he is about to embark on his 17th NBA season with his fourth different team. Despite coming off a career low in scoring, after so many years of promise, this could ironically be the veteran’s best chance at a championship. Dwight Howard is 32 and about to begin his 15th season with his sixth different team. This off-season, Howard decided to join the Washington Wizards. Although this talented team has yet to meet their goals, the addition of a possibly-inspired Howard could make them surprise contenders in a LeBron-free East. Vince Carter is 41. While not the leaper he once was (and trust me, the kid was a leaper), Carter will begin his 23rd season in the NBA. He will play this season with the Sacramento Kings or Atlanta Hawks or whichever irrelevant team has very little chance of winning a title but he’ll still get his league-wide farewell tour assuming he decides to hang it up at the end of the year. These three basketball superstars, all top draft picks (Carter 5th in ’98, ‘Melo 3rd in 2003, Howard 1st in 2004), have a combined 55 years in the league and 68,000 points scored! Yet they have only one combined Finals appearance between them, that being Dwight Howard’s run with the Orlando Magic in 2009. No matter how you slice it, these three are undoubtedly Hall of Fame players. 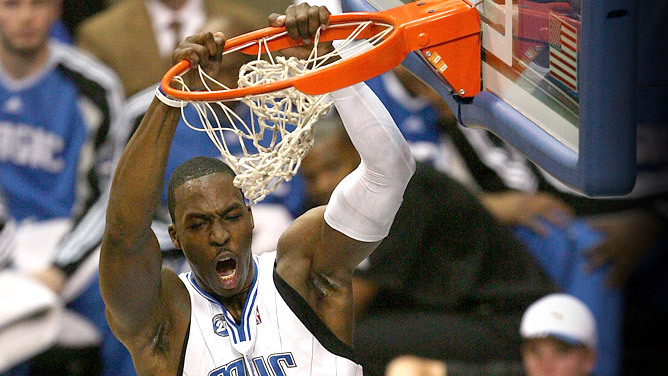 Howard led the league in rebounds and blocked shots multiple times, won Defensive Player of the Year three straight seasons and is a slam dunk champion. Carmelo Anthony is one of the game’s all-time great scorers. If he scores over 1200 points this year, which he should, he’ll become an all-time, top 15 scorer passing names like Alex English, Kevin Garnett, John Havlicek, Paul Pierce, Tim Duncan and Dominique Wilkins. By the time his career is over, he will have finished top ten in scoring all-time. Vince Carter is right behind Carmelo. This year, he will pass both Jerry West and Reggie Miller on the all-time buckets list. He is also the sole heir of basketball’s greatest dunk ever, the Olympic moment where he jumped OVER 7’2” Frenchmen Frederic Weis. Here’s the highlight. I dare you to watch it only once. For sheer longevity alone, these three will be Hall of Famers and very likely inducted on the first ballot. That being said, the glass-half-empty basketball fan could make the argument that these three failed to live up to their potential. Carmelo Anthony failed to land the multiple titles of those drafted alongside him, i.e. James, Wade and Bosh. He’s only played in one conference final. In 2012, RealGM claimed that Anthony has the worst playoff record of any player with 50 or more games of playoff experience. Dwight Howard looked like the second coming of Shaquille O’Neal when he hit Orlando, leading the league in rebounds five straight years and putting up 20/20 numbers on his way to a Finals the year they lost to the Lakers. He was never to return. He failed miserably in both Los Angeles and Houston and never lived up to promise he showed with the Magic. And concerning Vince Carter, one could make the argument that he never even became the caliber of player of his cousin and former Toronto teammate, Tracy McGrady. Olympic basketball excluded, these three (again, aside from Howard’s 2009 Finals) never played in an NBA game that really mattered, not a post-season game at least, and if so, they didn’t win it. They never led their teams to that next level like other players of their generation, i.e., Nowitzki, Pierce, Garnett, Allen, James, Wade, Duncan or Bryant. Chalk it up to bad GMing. Blame it on bad luck. While all having brilliant careers, one could argue that these three fell short. Make no mistake, Olympic basketball counts. 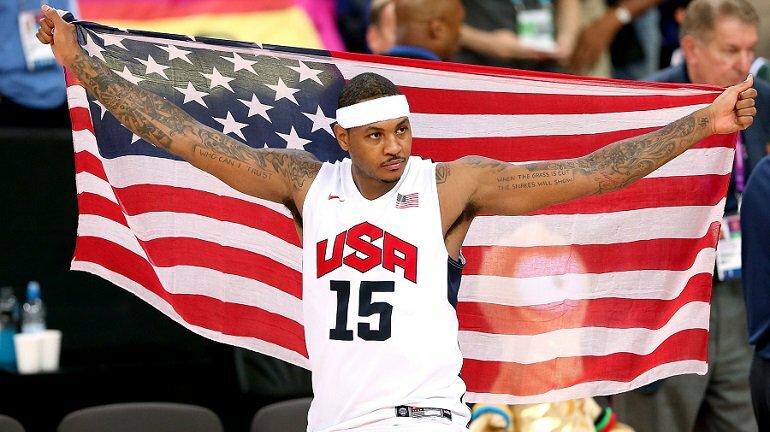 In fact, it was during the Olympics that Carmelo shined. ‘Melo medaled four times, including wining three gold medals. No other American basketball player can say that. Carter contributed by winning gold in 2000. Howard has one as well with the 2008 team. Remember, Springfield, Massachusetts is home to the Naismith Memorial Basketball Hall of Fame, not the NBA Hall of Fame. Even if it were the NBA Hall of Fame, all three of these fellows would get in. Howard has been truculent with the media over the years, as has ‘Melo which is quite often a reason that sportswriters keep players off their ballots. They’d be hard-pressed to leave these guys off although stranger things have happened. If I had a vote, I’d likely vote them all in on the first ballot… I think. Their careers aren’t over yet. It’s conceivable that ‘Melo rides off into the Houston sunset with his first championship and a huge chip off his shoulder. Howard still has his work cut out for him and a bad back to boot. Despite all his time in the league, he’s still the youngest of the bunch. We shall see what the future holds. This might be Carter’s last run at things. Unless he’s unloaded to a contender, we might just see him fade into glory however if you ask me, that dunk over Weis is enough all by itself to get him into the Hall. Maybe we place too much emphasis on championships. Maybe it’s the media’s fault for painting these guys in a light of not having done enough. Maybe it’s my fault for buying into that nonsense. Five gold medals, nearly 70,000 points, top twenty all-time lists, countless all-star appearances and all-NBA teams, all defense and dunk titles are nothing to sneeze at. First ballot or not, these three will be recognized for their efforts on the court. That should be good enough, shouldn’t it? This entry was posted in Featured, Hardwood and tagged Carmelo Anthony, Dwight Howard, Hall of Fame, NBA, Vince Carter by Chris Humpherys. Bookmark the permalink. All 2nd ballot HOF IMO. Of the 3, I respect Carter the most. The other 2 are MEvas of the RuPaul calibur. Gifted, talented and put up numbers….But seemed to have lost that basketball is a team sport. We’ll see if Melo and Dwight can find their inner Vince, humble themselves and become contributors in a team sense but I won’t hold my breath….Especially with Dwight. CP3’s presence might help Melo and seeing that he went to Houston knowing he’s 3rd or 4th banana maybe he will buy in. Just can’t see him filling the defensive void left by Ariza and Mbah-Moute. Of the three players mentioned for me Vince Carter was the most impressive to watch. At the height of his career , he was simply a dominant force of nature. For Carmelo Anthony the continued knock against him, he could never take a team on his back.and just carry them. I also believe it’s just asinine to call his his Olympic career historic. Dwight Howard’s career is like a damn squib. You mean no defense? Isn’t that more suited to a D’Antoni coached team? I’m waiting for this ‘Melo to Houston move to finally happen. What the hell is taking so long? Oh… and I bet you all three of these guys get in on the first ballot. Just an opinion. I’ll disagree with you on ‘Melo’s Olympic contributions, Al, especially Team USA’s last go round. That was his team. He was the veteran. And again, no other NBA player has three Olympic gold medals. That fact can’t be argued. You’re probably right on the 1st ballot thing, just my opinion. Vince is without question the best dunker of all time bar none. That includes in-game dunks and the dunk contest.